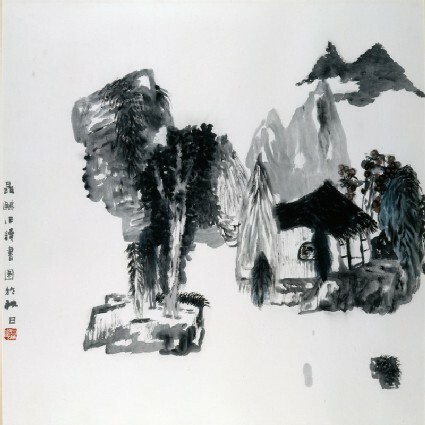 This sparse and simple composition is typical of Nie Ou's work. 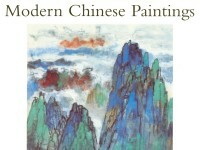 She has written that during the Cultural Revolution she was sent from Beijing, where she as a student, to live in a small village in the north China plains, and that the simplicity and the hardship of life there have inspired much of her painting. Nie Ou is a female painter at the Beijing Painting Academy. This sparse and simple composition is typical of her work. ‘Reading’ is one of her favourite subjects to paint, in particular reading in an isolated environment. Both the subject and the style are probably inspired by the simplicity and the hardship of life in the countryside when she was sent to be a ‘re-educated youth’ during the Cultural Revolution (1966-1976).